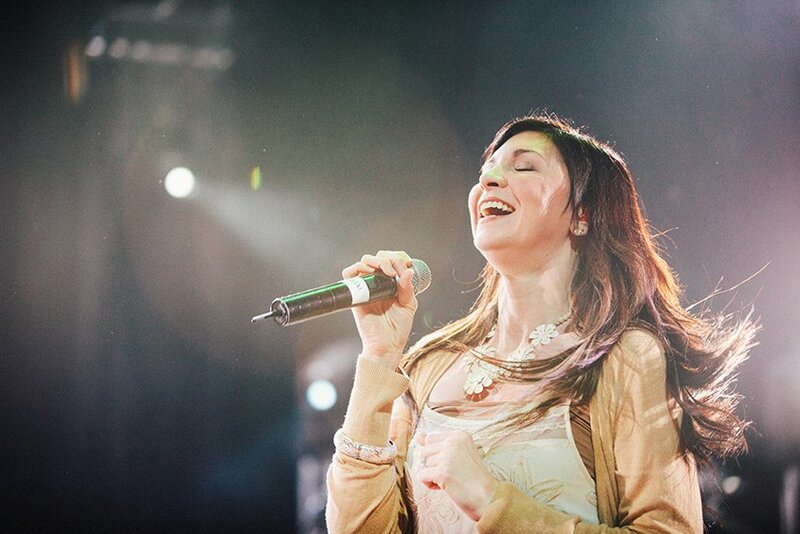 Kim Walker-Smith has quickly become one of the strongest voices in worship music. She is a passionate worship leader with an anointing to bring an entire generation into an encounter with God. Her heart is to see people transformed by experiencing God’s love and for this generation to see themselves the way God sees them. She believes when that happens, hearts are set free. Kim is one of the worship leaders for the Jesus Culture band and serves on the Jesus Culture Senior Leadership Team. She’s been with Jesus Culture since the beginning of the ministry. Her heart to serve has brought her to where she is today. Kim carries a genuine heart to see worship change the course of lives and nations. She is married to Skyler Smith and together they have their son, Wyatt. Before she was married Kim was known as just Kim Walker. She was raised in a small farm town called Klamath Falls, Oregon. She says "My family for generations has been very musical and my mom put me on a stage when I was three. I grew up singing and was very involved in Musical Theater". This was the start of a long road to becoming a great singer. Later on in her life Kim moved to Redding, California to attend a Christian College. She was struggling with her grades and wasn't happy attending university. One night as she was driving around she cried out to the Lord asking Him why she was at the University. Apparently, whilst driving, she came across Bethel Church. Kim left her University course to attend the Bethel School of Supernatural Ministry, and after two years she graduated, staying on at Bethel Church to become the worship pastor, working alongside Brian Johnson. Jesus Culture began in the summer of 1999, when the youth group at Bethel Church in Redding, California, led by Banning Liebscher, launched the first Jesus Culture conference. The Jesus Culture Band is comprised of Kim Walker-Smith, Chris Quilala, Jeffrey Kunde (lead guitar), Brandon Aaronson (bass player), Ian McIntosh(keys), and Josh Fisher (drums). In 2013 Kim released her second solo album titled 'Still Believe'. Featuring a mix of original and established worship songs, the album was recorded during a night of live worship at the Cascade Theater in Redding, California. 'Still Believe' included Kim's version of the Delirious song 'Miracle Maker', plus the Worship Central anthem, 'Spirit Break Out', alongside other original worship songs. Out now, Kim Walker-Smith’s latest full-length album, 'When Christmas Comes', rings in the holiday season packed with 17 Christmas classics. Drawing from hits such as 'I'll Be Home For Christmas' and 'Winter Wonderland' to the sacred carols including 'The First Noel' and 'Away In A Manger', Kim powerfully delivers a timeless collection that will no doubt become a household staple for years to come.